In Pella, casaFantini/lake time is now up and running. 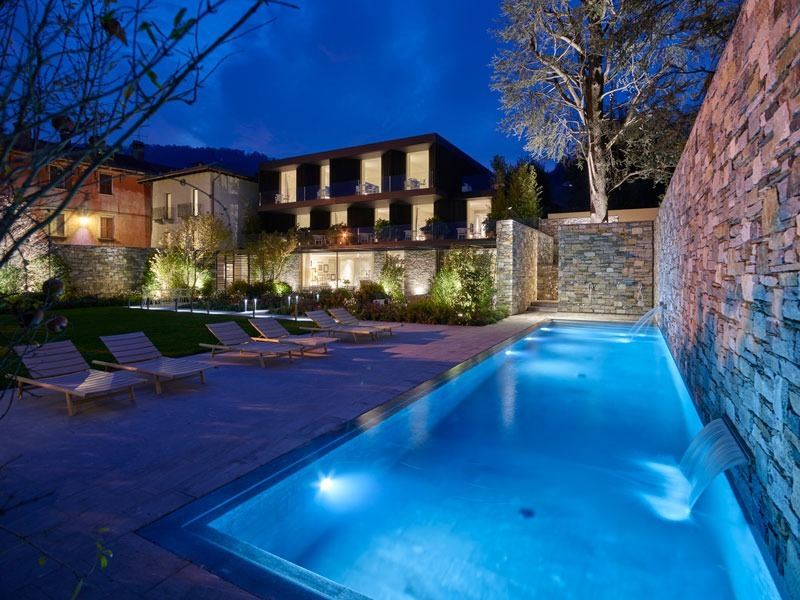 It is a 5-star boutique hotel, a ‘pleasant retreat’, a sophisticated contemporary house designed according to the philosophy of lake time, the slow pace of the Lake. casaFantini/lake time is Daniela Fantini’s personal dream come true. It expresses her passion for this territory and for hospitality, her “vocation” to create projects that become key elements to appreciate the location and its landscape architecture. 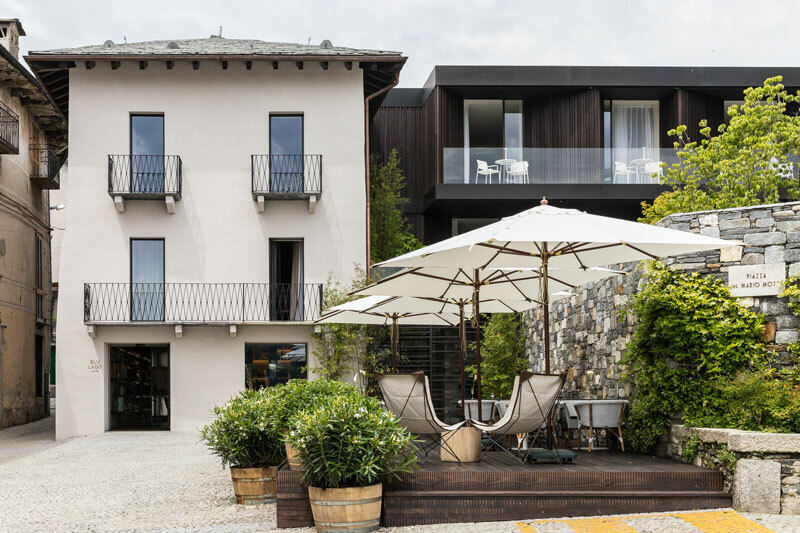 casaFantini/lake time presents itself as the key point of an exclusive experience to discover the unknown sides of Lake Orta and nature, places of harmony, with a perfect balancing of landscape, architecture and light, where time seems magically suspended. The casaFantini/lake time project is by Lissoni Architectural Firm. Wood and stone are the natural materials chosen to be integrated harmoniously into the landscape and the spirit of the place. casaFantini/lake time consists of two buildings facing onto the lake, one old and the other a new construction, integrated harmoniously into the surrounding landscape by the architectural project. The hotel offers 5 Superior rooms, 4 Prestige rooms and 2 Suites, all with a view across the lake. Sobriety, elegance and comfort are expressed in all the indoor and outdoor environments, to ensure that a stay at casaFantini/lake time is an unforgettable experience. The experience of casaFantini/lake time begins with the lounge, the heart of the house, with a pleasant atmosphere both for calm meditative stays inspired by views of the landscape and to share convivial social moments: Daniela Fantini’s intention is to involve guests with style and sensitivity, from genuine breakfasts to aperitifs including the best Piedmontese wines. Water is the element linking casaFantini to history, to the nature of the place, to the lake time elements: the placid water of the Lake, always visible and present, and the water of the swimming pool, in the peace of the garden. This space has the characteristics of a lounge connecting the indoor spaces and the outdoor landscape. In the garden, with the perfectly seamless presence of the swimming pool water, time goes by slowly, almost as though suspended. In the old house, the bar is a connecting space, open to the community of Pella and immersed in the local context.